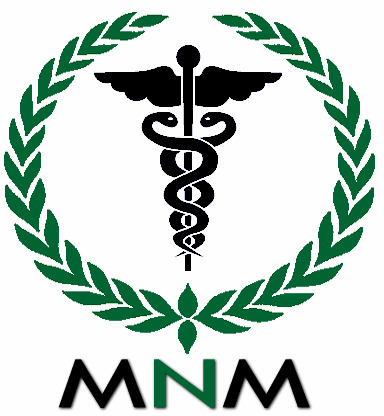 A factor in the maintenance of good health. Helps in the development and maintenance of bones. Helps in the development and maintenance of teeth. Helps in the absorption and use of calcium. Helps in the absorption and use of phosphorus. Helps to prevent vitamin D deficiency. Calcium intake, when combined with sufficient Vitamin D, a healthy diet and regular exercise may reduce the risk of developing osteoporosis. Vitamin K2 helps in the maintenance of bones. Vitamin D3 & K2 (MK7) is a liquid formula designed for maintaining healthy bones and teeth, reducing risk of osteoporosis, and enhancing absorption and utilization of important minerals including calcium and phosphorus. Vitamins D3 and K2 work synergistically to enhance calcium absorption in bones, with vitamin K2 activating specific proteins for the transportation and binding of calcium from the arteries and blood into the bone matrix. 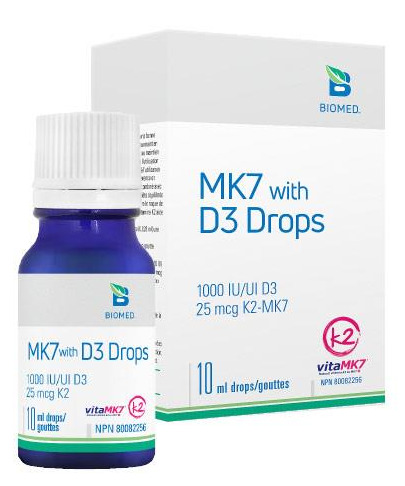 Vitamin K2 as MK7 (methaquinone-7) is more stable and stays in the body longer than other forms of vitamin K.
Health Canada recommends supplementing daily with vitamin D and studies show vitamin D3 is essential for long-term health. It is also important to help prevent vitamin D deficiency, which can occur if one is not getting enough vitamin D through the diet or if they have limited exposure to the sun due to: working indoors, avoiding or protecting from the sun, and living in the northern latitudes. Non-medicinal ingredients:Coconut Oil, Lemon flavour, Medium chain triglycerides, Olive Oil. Suggested Dose: Take one drop daily or as directed by a health care practitioner. The drop may be taken directly on the tongue, in food or liquid, or licked from a clean surface (spoon). Suitable for vegetarians.